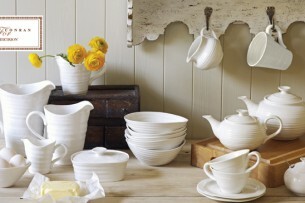 Now you can make every day a beautiful day, with the stunning Sophie Conran for Portmeirion collection. Each unique, tactile piece is multifunctional, moving seamlessly from freezer to oven and oven to table. 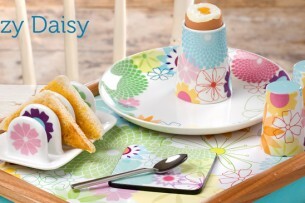 Serve up some sunshine with the Crazy Daisy Side Plates. Fresh, fun and funky, the Crazy Daisy collection of tableware, cookware and serving pieces from Portmeirion is bursting with colour. Featuring modern pastels and linear floral designs, Portmeirion’s Crazy Daisy collection is the ultimate in contemporary dining experiences.